Rixx Javix and Sindel Pellion have released an extremely funny parody of the surprisingly popular Australian Metro’s safety music video, "Dumb Ways to Die", giving it a twist from these EVE Online players' points of view. You can watch and hear their handiwork via Soundcloud here, or on YouTube here. Go ahead, give it a listen and prepare to smile. Yesterday, I shared one of these links on the EVE University chat channel, and one of our new members timidly asked a question: "I just listened to that song you linked. I'm sorry, but I'm brand new to EVE, so I don't get it. Why are these dumb ways to die?" A good question! So, for those who may be uninitiated to the subtle aspects of EVE Online's infinite potential for inflicting sudden death on your character, here is an explanation of the first ten references in the song. Why you'll die: The Mittani is the infamous leader of the large, null-sec based Goonswarm Federation alliance, a principal member of the CFC which has most recently been warring with TEST Alliance. "Mittens", as he is affectionately called by his many followers, is also the publisher of the highly successful TheMittani.com news site (recommended reading, by the way). With over 9,200 alliance members at his command, and a substantial readership, Mittens possesses a lot of power and influence in the EVE Online community. And he clearly practices good grooming habits with his carefully combed coiffure - to suggest otherwise is clearly an insult of the highest order. Why it's dumb: You don't tug on Superman's cape. You don't spit into the wind. You don't pull the mask off that old Lone Ranger, and you don't mess around with Mittens. 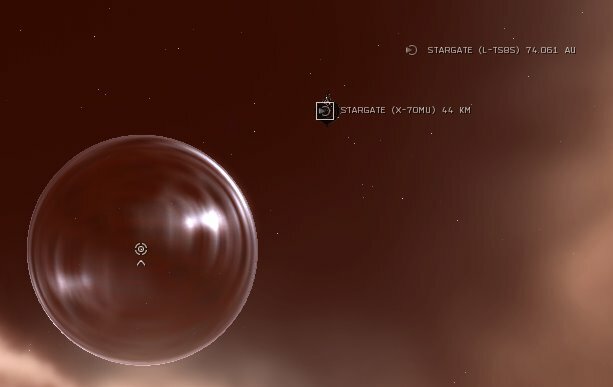 Why you'll die: Luminaire is a system that contains the original homeworlds for both the freedom-loving Gallente Federation and the corporate-focused Caldari. For years, a Caldari Navy Leviathan-class Titan hovered over Caldari Prime in this system, until a recent, massive live event resulted in the Titan crashing into the planet. Even though Luminaire is officially a high-security system under the police protection of CONCORD, during this live event, players could fire on each other without fear of reprisal. Since then, however, firing indiscriminately upon a target in Luminaire once again brings the all-powerful CONCORD hammer down upon the offender, resulting in almost immediate ship destruction. Why it's dumb: Shooting anyone in any high-sec system, if you don't have the proper kill rights, or if your target is not flagged as a suspect or criminal under the Crimewatch system, results in becoming "CONCORDokened" - even in politically contentious Luminaire. Why you'll die: In null security space, pilots will often set up warp disruption fields (a.k.a., "bubbles") to capture unsuspecting travelers who are traveling directly to a gate to jump into the next system. If set up on the route that the target is flying, that ship will get caught in the bubble, where the waiting group will tear the victim apart like a school of starving piranha fish. Why it's dumb: Smart pilots do not travel directly from gate to gate in null sec. Instead, they take indirect routes (using celestials or pre-set bookmarks), to avoid warp bubble traps, or they use cloaked scouts to reconnoiter the path ahead, or both. Why you'll die: The Typhoon Fleet Issue is a very nice Minmatar battleship. It sells for about 350 million ISK - not the most expensive faction ship, to be sure, but still a hefty sum. A common practice for luring pirates in low-sec into an engagement is to dangle an attractive target in system, in hopes that they will leap upon the juicy morsel, so that the remainder of your fleet can warp to the rescue and a fight in your favor. In order for this tactic to work, the target has to be tanked enough to withstand an initial assault. The Typhoon Fleet Issue can be well tanked with some expensive modules, but it's always possible for your precious faction battleship - an especially attractive target for a swarm of hungry pirates - to go boom before your rescue fleet can warp in and save you. Why it's dumb: This one is somewhat debatable, as the Fleet 'Phoon is a fine ship, and would certainly attract the attention of just about every pirate in a system. It all depends on whether your fleetmates can bring enough support to you in time to protect your investment, which is always a gamble. And expensive gambles are usually just dumb. Why you'll die: AWOX was an infamous EVE player-vs.-player (PvP) combat pilot who enjoyed gaining entry into a player corp, going out in a fleet op with them, and then suddenly start killing his fleetmates. This turncoat tactic instantly became known as "AWOXing". Letting awoxers into your corp will certainly result in your ships going boom when you least expect it. Why it's dumb: Unfortunately, not every corp does a background check on applicants. A simple search of killboard records, and asking a few people in the applicant's prior corps, can unveil many awoxing threats before they have a chance to do any damage. Not doing so is just lazy - and dumb. Why you'll die: When your fleet commander (FC) orders you to align to your fleet's next destination, and you fail to do so before the FC engages the "warp fleet" command, then your fleet will warp off and you'll be stranded there alone, still trying to align. And in that moment, you are completely vulnerable and a very tempting target for an enemy fleet. You're like a deer who could not keep up with the herd, and then discovered by a pack of hungry wolves - it doesn't end well for the deer. Why it's dumb: Pay attention to your FC commands, and do them promptly - or ignore them and be left behind, at your peril. It's really that simple. Why you'll die: EVE is hard to learn and master. The subtleties of transversal velocity, angular velocity, radial velocity, signature radius, spiraling, MWD tricks, bumping, station games, grid fu, Crimewatch, and all the myriad factors that experienced pilots know put all "self taught" pilots at a distinct disadvantage. This is why institutions like EVE University exist - to help new pilots learn how to survive and succeed in New Eden. Those that rely on teaching themselves are going to learn some bitter lessons at the hands of veteran aggressors seeking only to pad their killboards. Why it's dumb: You don't have to learn how to fly by yourself. Join a training corp like E-UNI. Or find some mentors in your own corp to take you under their wing. 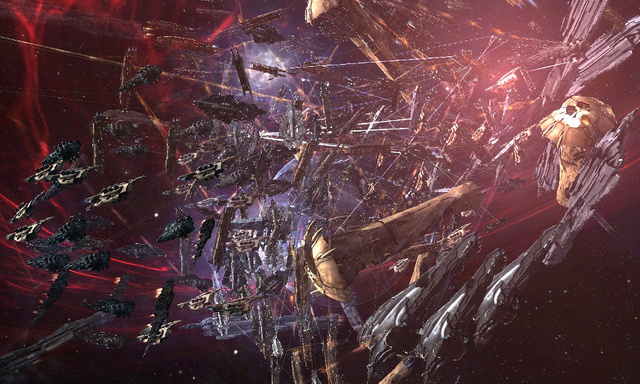 Why you'll die: The Battle of Asakai was one of the largest and most furious conflicts ever in the history of EVE Online. And it all started when Dabigredboat (a.k.a., DBRB) misclicked and accidentally jumped his Leviathan Titan into Asakai, a low-sec system where the Titan's fearsome doomsday device cannot be used. This one little mistake quickly escalated into a massive brawl of nearly 3,000 combatants and some extremely expensive kills. Why it's dumb: It all started with clicking the wrong command - in a massively expensive ship. The result speaks for itself. Why you'll die: No matter where you are in New Eden, if you undock from a station, you can die. This is especially true if your enemy has a fleet of high alpha strike attack battlecruisers at optimal range outside of your station - they have enough firepower to blat your ship into oblivion in a single well-coordinated volley. Why it's dumb: Always check Local chat before you undock. If you see a lot of characters with red boxes, get more intelligence about where your enemy is located before you click the undock button. Never undock blindly. Why you'll die: The Battle of Asakai is a good example of a situation that experienced time dilation, generally called "TiDi" for short. When a large number of players enter a system, CCP slows time down in that system, so that the large number of player commands can be executed in proper sequence, just more slowly. In extreme cases, TiDi can reach 10% of normal - in other words, the system operates at 10% of normal speed, like "bullet time" in The Matrix movie. One problem with this level of TiDi is that disconnects become effectively impossible, making ships that are high value targets more vulnerable. Why it's dumb: If you are in a battle so large that you are operating at 10% TiDi, disconnecting to try and save your super-blinged-out ship from destruction isn't going to work. If you do, you'll likely see only your wreck when you log back in. Next post: explaining the song's remaining 10 dumb ways to die. July 31, 2013 by Neville Smit.